Look at Lake Saimaa on a map of Finland and, due to its archipelago formation and many small inlets, you may easily miss that it covers almost 4,500 square kilometres and contains over 13,500 islands! Canoe or Kayak in Linnansaari National Park gives you the opportunity to explore a small part of this stunning lakeland region, either using 2-person Canadian canoes or double kayaks depending on your preference. In addition to being one of Finland's top canoeing and kayaking areas, Lake Saimaa is also home to one of the world's most endangered seals, the endemic Saimaa Ringed Seal, for which a major conservation effort is currently underway, and which, with luck, you may see seals in the Linnansaari area during the trip (a special Seal Safari extension to your canoe tour is also available as optional extra during May). 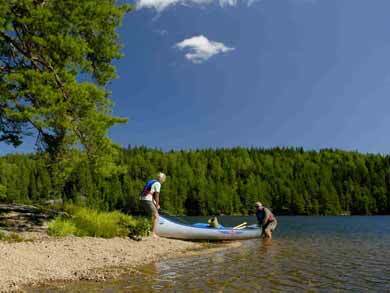 This tour offers the option to explore Linnansaari or Kolovesi using canoes or kayaks. Photo: SEO. This small National Park is located in the centre of the Saimaa lake system, on lake Haukevesi, and offers wonderful paddling. As a protected area, the National Park has a network of overnight camping spots where firewood (in the locations where fires are permitted) and dry outdoor toilets are provided. 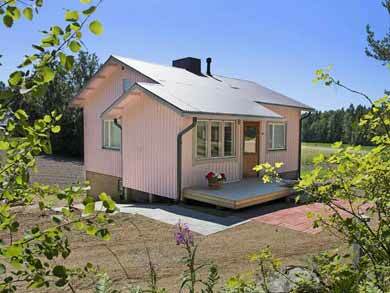 It is also possible to stay in a simple cabin on Linnansaari island for one or more nights as an optional extra. Other parts of the tour taking place outside the National Park boundary offer greater flexibility for camping. 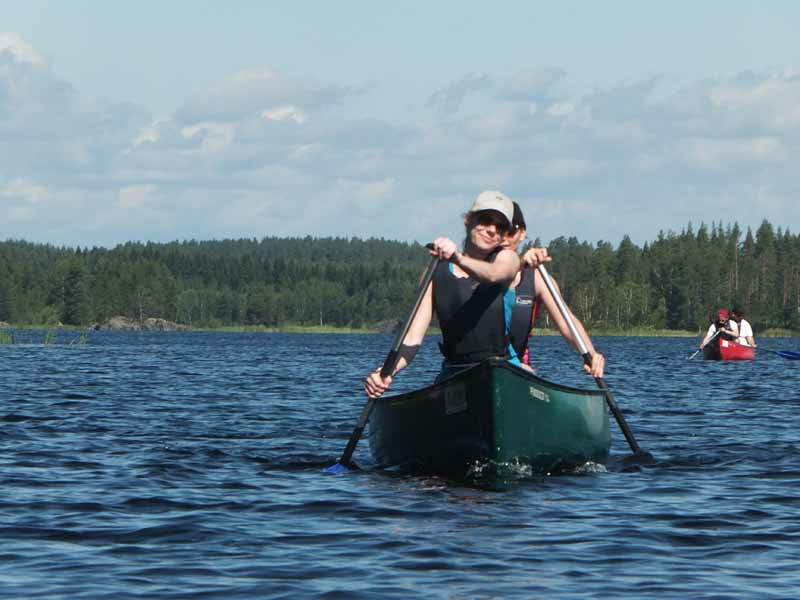 The standard itinerary for this canoeing or kayaking holiday combines nights in eco studio apartments with access to sauna at the start and end of the tour with 4 days/3 nights paddling and camping in and around the Linnansaari National Park. Additional paddling days can be added to make the tour as long as you wish. Route suggestions and maps as well as full camping equipment are provided, but you are also free to create your own route and discover your own corners of the beautiful lakeland archipelago. 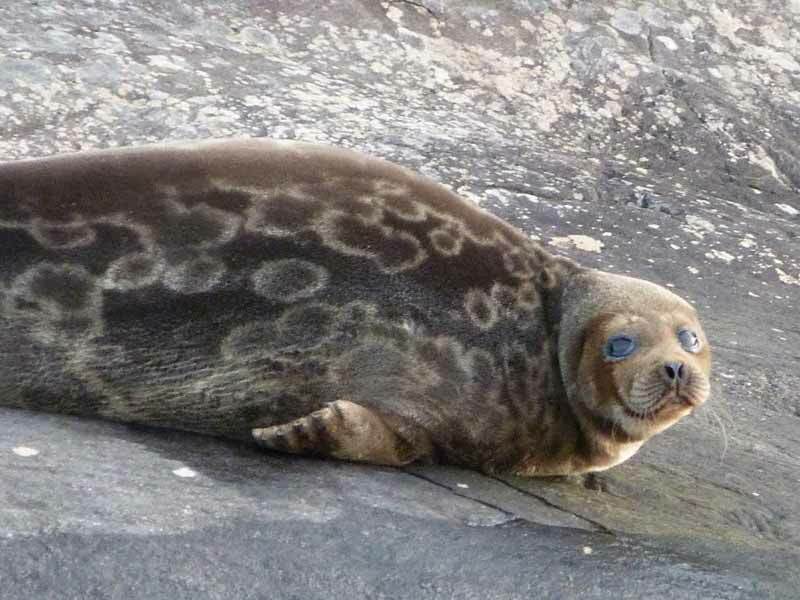 With luck, you may spot the rare Saimaa Ringed Seal during your tour. Photo: SEO. For those who would like greater confidence during their tour, a guide/instructor can be arranged as an optional extra for one or more hours at the start of your tour. With flexible start days between May and September and the possibility to extend the standard tour with extra days, Canoe or Kayak in Linnansaari National Park is suitable for a wide range of participants, from families looking for an easy-going tour to more experienced paddlers seeking the challenge of an extended canoe or kayak trip. 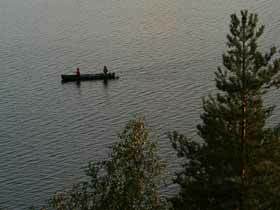 In addition to exploring Linnansaari National Park, it is also possible to paddle in Kolovesi National Park, located to the north-east of the canoe centre. You can choose to paddle north-east (rather than west into Linnansaari) up to Kolovesi then turn west to return to the canoe centre through Linnansaari. It is minimum around 30km paddle from the canoe centre through a network of islands to reach Kolovesi, typically around 1.5 days' paddling depending on wind and weather conditions and level of experience/fitness. If choosing to visit this area, we recommend allowing at least 5 days for the canoeing part of your trip to give a good amount of time to reach Kolovesi and explore the area. You will of course have an opportunity to discuss the most suitable route based on current weather conditions before beginning your tour. If you have fewer paddling days available, or if you would like more time in the Kolovesi area, it is also possible to choose transfer from the canoe centre up to Kolovesi at the start of your tour to begin paddling from there, ending your tour as normal at the canoe centre. Even-numbered groups can choose either 2-person Canadian canoes, double kayaks or single kayaks depending on preference. Additional adult in odd-numbered group will paddle single kayak. For odd-numbered groups including a child under 12, the child can travel as 3rd person in canoe. Arrival and check-in to your studio apartment. You will have access to your studio from 16.00. Sauna is available and the surrounding area offers good possibilities for an evening stroll. Self-catering dinner at the studio (there is a store to purchase provisions). NB: The route below is a suggested option only. You are free to plan your own itinerary and explore the lake system as you wish in the time available, as well as to extend the duration of the tour with extra days. Within the National Park boundaries, camping is permitted only at designated spots. Here facilities such as fireplaces (except for some locations where fires are not permitted) and dry outdoor toilets are provided. Outside the park, you are free to camp wild within the guidelines of the Finnish Right of Public Access. Campfires are not permitted when camping outside the park. Breakfast at the hotel before collecting your canoe/kayak and camping equipment for the start of the tour. You begin paddling directly from the canoe centre. 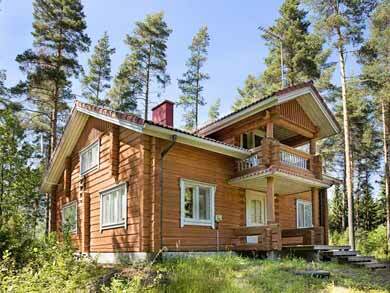 We suggest you make for the island of Linnansaari, from which the National Park takes its name. The island offers lovely marked hiking trails if you wish to step out of your canoe for a while! There is a main camp site for overnighting or another camping spot in the north-west of the island. Paddle north to explore the northern areas of the National Park, with camping possibilities at Hirvisaari, Kirvessaari, Myhkyrä or Paavalinsaari. Leaving the National Park, paddle east into Joutenvesi, where the Right of Public Access applies for camping. Choose your own island for the night! Turn south to head for home, reaching the canoe centre from the other side. Sauna and shower await at the end of your adventure and overnight accommodation in studio apartment. Breakfast at the hotel before departure. Please check out of your studio by 12.00. Flexible dates by arrangement between start 10th May and end 30th September. We recommend that guests paddling in May and September should have previous experience of canoe tours, particularly in May when the water will still be very cold. Transfer to Kolovesi National Park: Price is per transfer for up to 4 persons. Available daily on request during the season to allow you to begin your tour in Kolovesi National Park, paddling back through Linnansaari to finish at the canoe centre as normal. Transfer departs at 11.00 and takes approx. one hour to reach the start point. Fishing equipment: Spinning set is available to hire. Fishing licences can be purchased on arrival (approx. €15/week). Pike, pike perch, perch or lake trout are commonly caught. Transfer from Savonlinna: Approx. 40km. For guests travelling by public transport, transfer is required. Transfer time is approx. 40 mins. Standard times: Transfers are available at the following times (can be flexible +/- one hour depending on requirements: From Savonlinna to canoe camp at 10.00 or 20.00; From canoe camp to Savonlinna at 09.00 and 19.00. Price is per person one-way. Custom times: If you require transfer at times other than above, these can be arranged subject to availability. Price is one-way for group of 1-4 persons. Cabin on Linnansaari: See images below. Simple one-room cabins are available on Linnansaari island for one or more nights of your tour (normally Day 2 of the standard itinerary). There are 5 cabins in total. Cabins sleep up to 4 persons in bunk beds, no electricity or running water, camp has small shop (open at Midsummer and in July and August) and wood-heated sauna, well for drinking water outdoor kitchen and dry outside toilets. Guests use sleeping bags/liners as bed linen for the cabins. Please specify date(s) required on booking. Seal Safari extension: Possible from 4th May-2nd June 2019 only, can be added before or after your canoe tour. The location of the canoe camp is an ideal base to see very rare Saimaa Ringed Seal and is the centre for seal research. There is a population of around 60 Saimaa Ringed Seals in this area and the tour gives good chances to see these beautiful animals without disturbing them. Tours are offered only in May, when the seals are moulting their winter fur and can be seen out on the rocks. Includes one extra night's accommodation in eco-apartment with breakfast and 1-hour evening sauna by the canal plus 3-hour seal safari by boat (takes place in the morning or evening depending on the best time to see the seals). 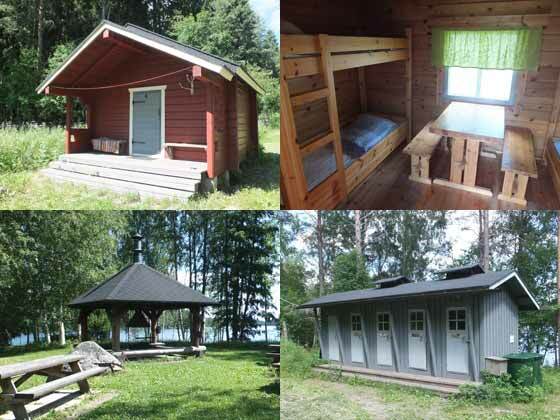 Cabins on Linnansaari island (bottom images show cooking area and outside toilets). 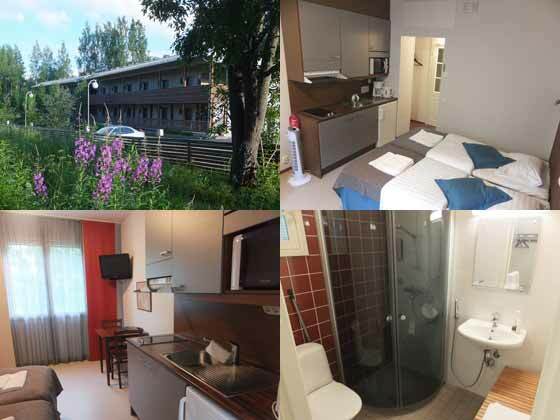 Accommodation (see images below): 2 nights (one night before canoe tour and one after) in comfortable eco studio apartments. There are 13 studios in total, heated with geothermal energy. The studios sleep 1-3 persons with 2 beds and one sofa bed. They have private entrance, wifi, WC/shower, hair dryer, kitchenette (with hot plate, kettle, coffee machine, microwave, fridge and cooking utensils), TV and drying cabinet, with an outside barbecue area. Sauna is also available. Food: Breakfast following the two nights staying at studio are included. There is a store next to the canoe centre to buy provisions for self-catering in the studio and for provisions during the tour. Canoe or kayak equipment (please specify requirements on booking): 2-person Canadian canoe, double kayak or single kayak, paddles, buoyancy aids, spray skirt for kayak, one dry-bag/person. Child under 12 travelling as 3rd person in canoe will have extra seat/paddle/buoyancy aid. 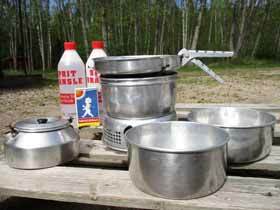 Kitchen equipment: Trangia stove with pans (Marinol fuel is also included) and camping plates/mugs/cutlery. NB: Note that Trangias are suitable for 2-3 persons and therefore for odd-numbered groups, an additional Trangia is not supplied (e.g. 2 Trangias are supplied for 5-person group). Camping equipment: Tent (Halti 2-person or 4-person tents), sleeping bag (please bring own liner), foam sleeping mat. Introduction/assistance in planning your route before your tour starts. Please be careful with the canoe/kayak and the rest of your equipment! If some part of the equipment should break as a result of misuse or carelessness, you may be charged for the damage caused. Apart from breakfast following the two included nights at studio apartment, no food is included. There is a store to purchase provisions for self-catering dinners at the studio apartments and for your tour at the canoe centre. Swimming ability required by all persons, including children. Minimum 2 adults. You should be in good health with a good general level of fitness and enjoy the outdoors. No recommended minimum age provided children are able to swim. In windy conditions, the lakes can be choppy and there are large areas of open water in places. Canoeing/kayaking in windy conditions can be challenging. You should exercise caution at all times, plan crossings to minimise areas of open water, and be prepared to vary your itinerary depending on the conditions to paddle in the most sheltered areas. 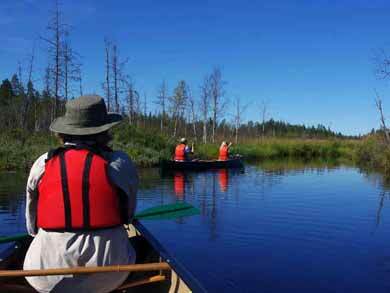 For tours in May and September, we recommend that participants have previous experience of paddle tours. The water can be very cold at this time, especially in May, and you should be prepared for generally cooler conditions. As a self-guided canoe tour with flexible route, you can vary the distance covered and level of challenge as you wish. The area is quite remote and, outside high season, you may see few other persons during your tour, but also offers fully-featured accommodation at the start/end of the tour and a network of camping locations and the option to overnight in cabin on Linnansaari island during the tour. The Saimaa lake system is home to the endemic Saimaa Ringed Seal, a subspecies of ringed seal and one of the most endangered seal species in the world, with a current population of around 320 individuals. The Saimaa Ringed Seal is descended from the ringed seal and their population was separated after the last ice age. They are one of the very few species of freshwater seals. Canoeing and kayaking in the area gives you the privileged opportunity to spot the seals in their natural habitat. Activities at the canoe centre are certified seal-friendly and it is essential that you cause no disturbance to the seals during your tour. More information will be given at the start of the trip. Fly to Helsinki for travel by train (4 hours 15 mins) to Savonlinna, from where transfer (40 mins) is available as an optional extra.